How to deactivate a facebook account in 2018. 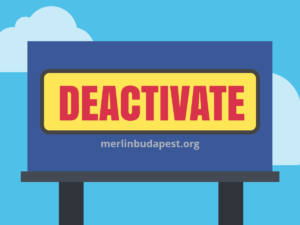 Here is what will happen, this post will give you a detailed guide on how to do a Facebook account deactivation. 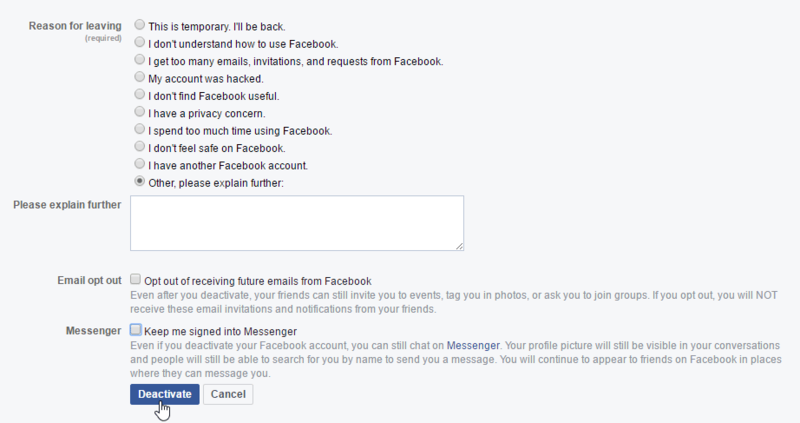 Please note that deactivations are temporal unlike deleting a facebook account. A temporary deactivated account can be easily reactivated with all data intact. 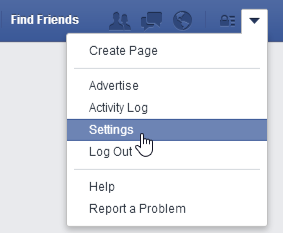 Lets begin this guide on how to deactivate or close a facebook account – official 2018 guide. Click on that drop-down arrow on the toolbar, then click Settings. A settings page should appear. Click on General > Manage Account, then tap Deactivate. Choose a reason for deactivating the account. If you’re feeling it, you can add more details in the text box below. When you’re done, click Deactivate. Your account will immediately be deactivated. There’s an option to reactivate your account whenever by simply signing in to Facebook with your old account information.